Beautiful new construction detailed in exceptional quality throughout. This home features granite counter tops in the kitchen, hardwood floors throughout the main areas, tile in bathrooms and laundry, carpet in bedrooms, off street parking and large backyard all on ONE LEVEL!!! This home has everything today's buyers want in their dream home! Directions:Turn left onto Florida Ave, go 0.3 miles and turn left onto W Faunce Rd., go 500 ft and home is on your left. SchoolsClick map icons below to view information for schools near 313 W Faunce Rd Oak Ridge, TN 37830. Home for sale at 313 W Faunce Rd Oak Ridge, TN 37830. Description: The home at 313 W Faunce Rd Oak Ridge, TN 37830 with the MLS Number 1069334 is currently listed at $159,900 and has been on the Oak Ridge market for 22 days. 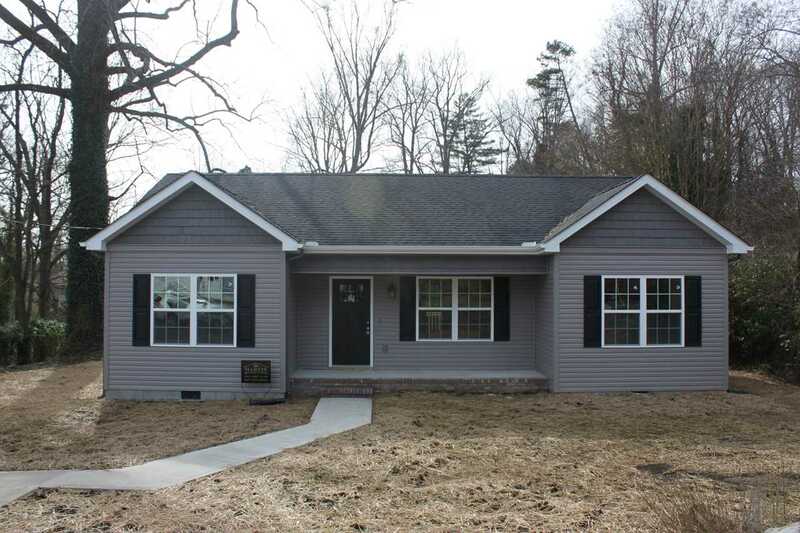 You are viewing the MLS property details of the home for sale at 313 W Faunce Rd Oak Ridge, TN 37830, which is located in the subdivision, includes 3 bedrooms and 2 bathrooms, and has approximately 1186 sq.ft. of living area.